Millions of people are declaring their phone numbers off limits to sales pitches by signing up with the national do-not-call list. The free service, intended to block most telemarketing calls, grew to more than 10 million phone numbers in the four days following its launch Friday. At the height of the registration surge on the first day, 158 phone numbers were signed up every second, the Federal Trade Commission said Monday. About 85 percent of the numbers were registered online at www.donotcall.gov, the FTC said. On the Web site, consumers provide the home or cell phone numbers they want protected and an e-mail address to receive a confirmation message. People have entered another 3 million numbers online, but still need to complete registration by clicking on a link in the e-mail message, the FTC said. People also registered by calling toll-free at 1-888-382-1222, a number available in states west of the Mississippi River. To ensure the system can handle the volume of calls, the phone number will not operate nationwide until July 7. 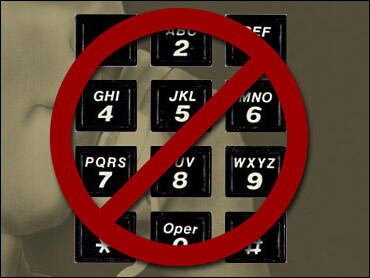 Consumers calling the toll-free number must call from the phone they want registered. Including unconfirmed registrations, 7 million numbers were added Friday, 4.6 million on Saturday and 2 million on Sunday. The FTC expects people will register up to 60 million phone numbers in the first year. There are about 166 million residential phone numbers in the United States, the FTC said. People who sign up this summer should see a decrease in telemarketing calls after the FTC begins enforcing the list on Oct. 1. The service will block about 80 percent of the calls, the FTC said. The telemarketing industry estimates the do-not-call list could cut its business in half, costing it up to $50 billion in sales each year, said Louis Mastria, a spokesman for the Direct Marketing Association.